The Galaxy S8 will make a Spring 2017 arrival on the world market, no doubt, but interested buyers are ready to get an idea of what to expect so as to prepare themselves for the good and bad about the handset. The first leak of what could be the Galaxy S8 was supplied at the famous Chinese social site Weibo, showing no physical or on-screen navigation keys, along with “SAMSUNG” branding at the bottom with thin bezels. 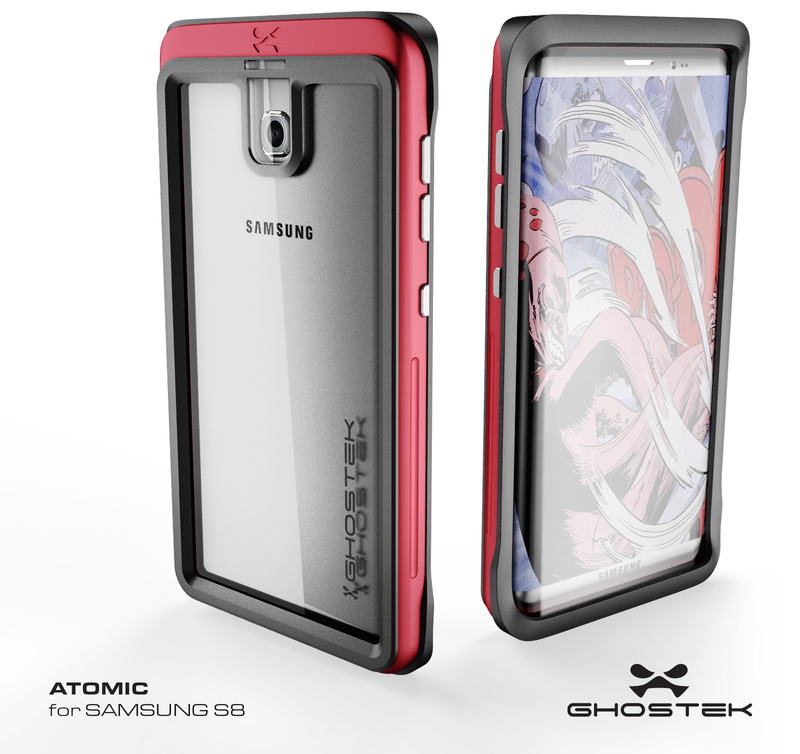 We were skeptical at the time (and still are), though a new Galaxy S8 render by casemaker Ghostek seems to confirm some of the suspicions of the Weibo photo. The Galaxy S8 in the Ghostek render maintains the dual-edge display with curves on both sides, which goes along with Samsung’s new design language that will eliminate flat screens (though industry analysts think this move is too soon for success). There is no fingerprint sensor on the back, either, which may indicate that Samsung doesn’t intend to push forward with the back-mounted fingerprint sensor that exists on handsets such as the Google Pixel and Pixel XL, LG V20, among others. Next, the Volume Up, Volume Down, and Power/Standby buttons are all placed on the left side, which is yet another drastic design change from the normal Samsung Galaxy smartphone button layout where the Volume Up and Down buttons are on the left side, the Power/Standby button on the right. On the back of the handset lies only a camera – no flash or heart rate monitor, a layout that has been present on Samsung “Galaxies” since the Galaxy S5 in 2014. Though we don’t get to see the top and bottom portions of the handset, Samsung’s push for wireless in-ear headphones doesn’t bode well for the 3.5mm headphone jack. The Ghostek render, if accurate, reminds us that some claims are verified and some are still in question. And regardless of what design changes lie ahead, Samsung is still hiding the best about the Galaxy S8 for April 18th. Ghostek may well have made their renders from the unsubstantiated original renders on Weibo. It doesn’t really strengthen the case (no pun intended) that the phone will look like this. So I agree with your skepticism Deidre! It will be nice if it is something like this though! I hate it when people called it Samsung S1-8 without “Galaxy”. It shows that people who called it this way used to be iPhone fans or lack of professionalism. Maybe the flash is the smartglow? Cmon guys this is such a poorly done render. And do people still think case manufacturers know secrets no one else knows? Really? Who are you kidding? Lol or you’ve been very gullible. A camera flash is mandatory because people use it in the dark too as a torch. The render doesn’t show the Iris scanner or the LED notification light, how does one use Samsung Pay when it’s used using the fingerprint scanner. All could be. New fingerprint reader on the font, on the logo, but, where is the flash? Ok, not heart rate, but the flash is ‘necessary’.